Once you descend the stairs to this oasis, you will be transported to the beauty of nature among the bamboo, the fountains, the flowering trees, and the lily pond. 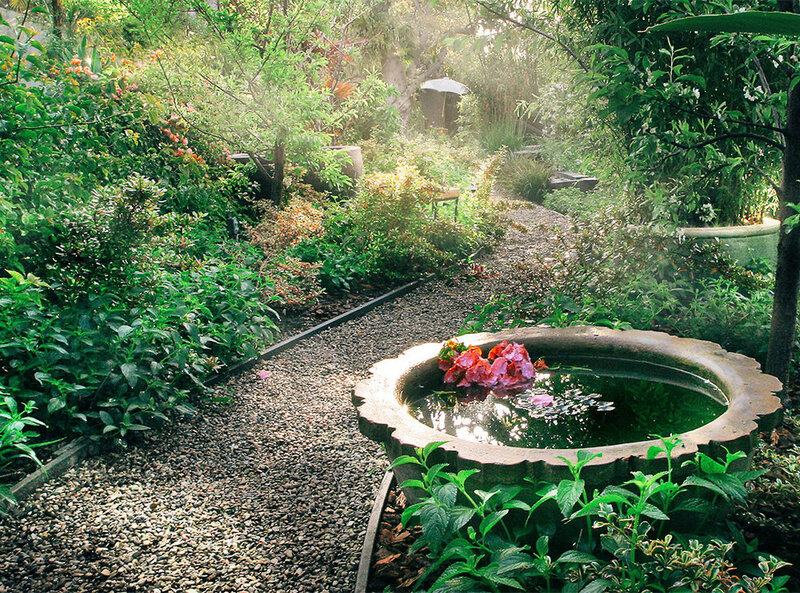 The meditation garden offers sanctuary to reflect, meditate, and recharge in natural beauty with the restoring sounds of water all around. 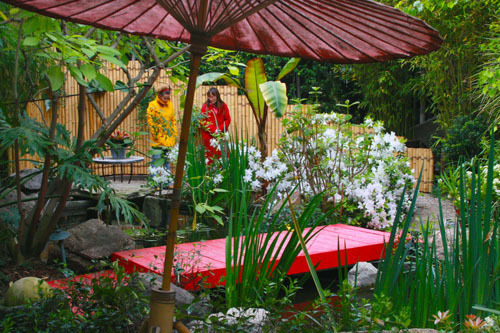 In our the Asian-themed meditation garden, you can let the sounds of running water restore you. 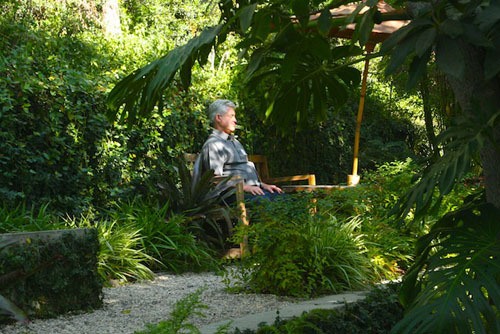 Our gardens are here for you to reflect, meditate, or to simply restore yourself in the beauty of nature. As tensions and worries drop away, peace starts radiating through your body. Peace is very much alive and present. As you drop the pressures of your life, you'll find that peace is present, beyond the distractions. It was always there."